Aline Noblin, 98, of Paragould, passed away on Tuesday, March 26, 2019. She was born May 30, 1920, to Almos and Myrtle Knowlton. 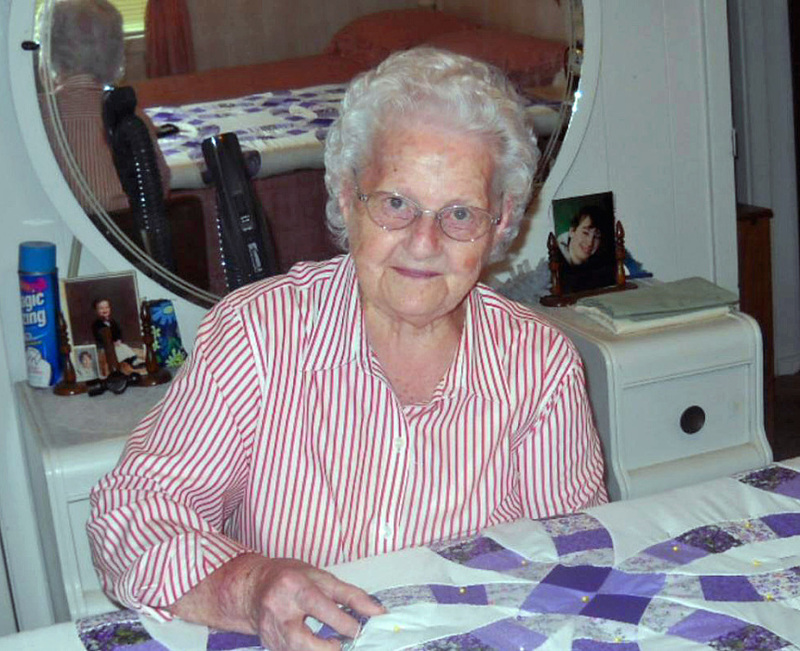 Aline loved cooking and quilting. She enjoyed doing for herself and was a member of Light Church of Christ. Aline was preceded in death by her parents; husband of 50 years, Joseph Royce Noblin; and daughters, Joyce Sullivan and Linda Vincenzo. Survivors include her son and daughter in law, Ricky and June Noblin of Paragould; daughter, Joline Light of St. Louis, MO; eight grandchildren; many great-grandchildren and great-great-grandchildren; and many nieces and nephews. The family will receive friends on Saturday, March 30, from 12:00 p.m. until service time at Phillips Funeral Home. The funeral service will begin at 2:00 p.m. in the Center Hill Chapel of Phillips Funeral Home with Paul McFadden officiating.